We are a not for profit organization of Labrador Retriever enthusiasts. 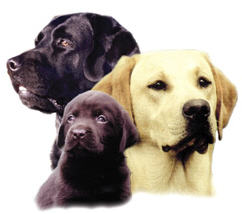 We are licensed by the American Kennel Club, and a member of the Master National Retriever Club. Our membership includes a vast range of involvement in the world of purebred Labradors; from families with a single companion dog and a casual interest in Labrador sporting events, to hobby competitors, occasional breeders, weekend sportsmen and hunters, to full-time professional breeders, event competitors, and trainers. We invite everyone with a genuine interest in the Labrador Retriever to get to know the Rose City Labrador Retriever Club. We hope that visitors to this site will find it interesting and informative, and we welcome the opportunity to answer our visitors' questions or requests for information. Labradors Only Come in Three Colors! We are members of the National Labrador Retriever Club and support the Labrador Retriever Club, Inc "Only 3 Colors" effort.